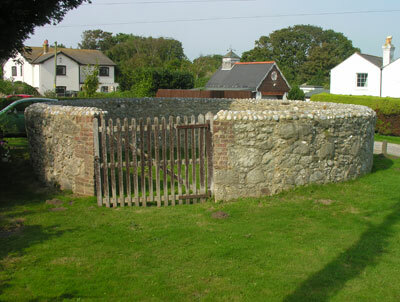 Located at Pound Green, Freshwater (at the junction of Queens Road and Camp Road) is Freshwater's Village Pound where stray farm animals would have been kept in past centuries until their owners paid a fine to recover them. 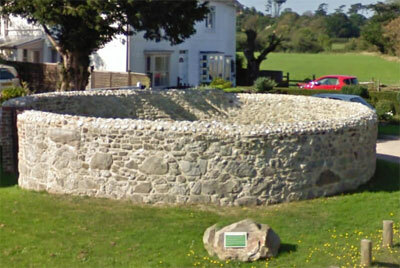 This Pound dates from the 18th century, and is the most complete remaining one on the Island. Such pounds became unnecessary from the 19th century with the introduction of the Enclosure Acts - there was less common grazing land and farmland became walled or fenced so there were less stray farm animals. In other villages, the name of locations give an idea of where Pounds were located (i.e. Pound Lane, Pound Mead etc.) even where there's no physical evidence remaining.